I have a few favorite bags right now that I’m excited to use when our little Cohen Samuel arrives! 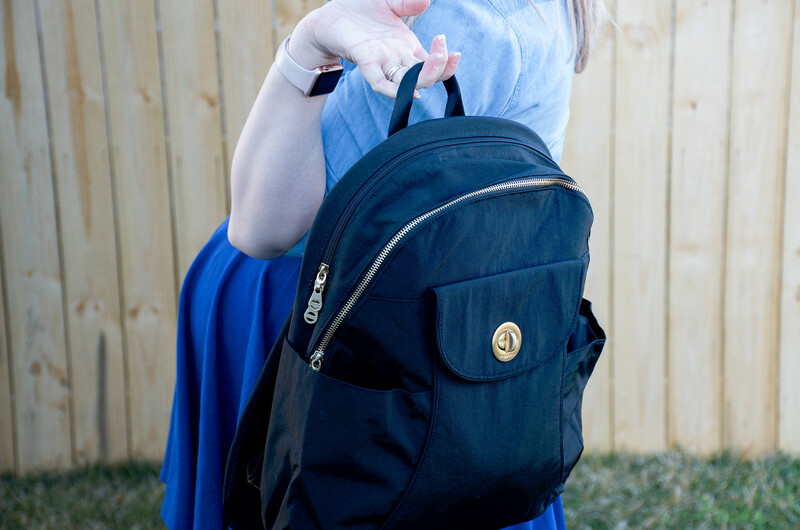 I’m all about Baggallini lately so it’s no surprise that my hospital bag is packed in a Baggallini carry all tote, I’m carrying a Baggallini wristlet on the daily, and now I’m getting ready to use this gorgeous Baggallini backpack as a diaper bag! Can you tell I love their bags!? They are the most durable and functional bags I’ve carried without compromising style and that’s hard to beat when you have kids who will inevitably make a mess on your stuff. 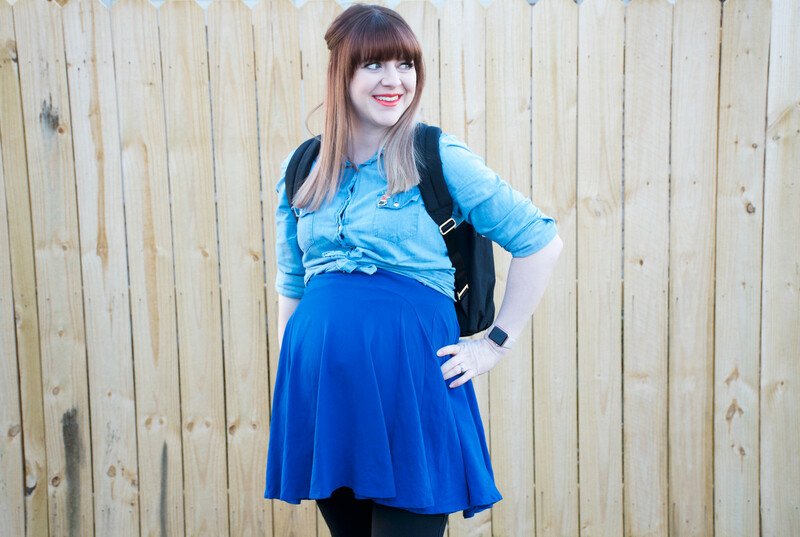 Or let’s be honest – pregnancy makes me pretty clumsy and I’ve managed to spill a thing or two on the wristlet but you can’t even tell! So why do I love this bag? 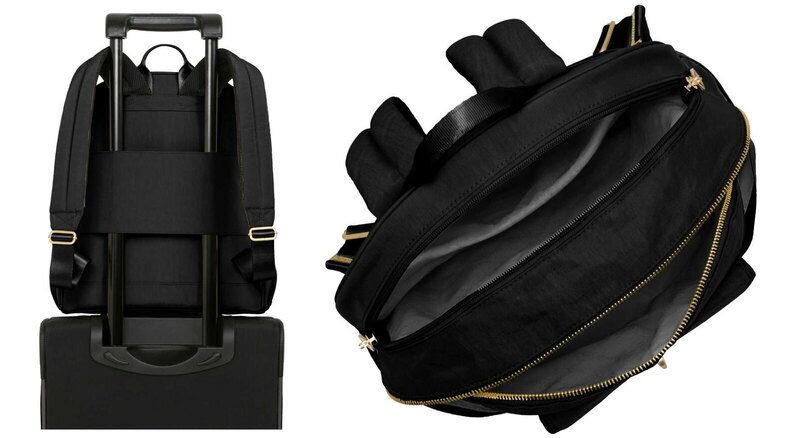 So this backpack is technically made for laptops. You can find it on their website here and check out all of the specs. 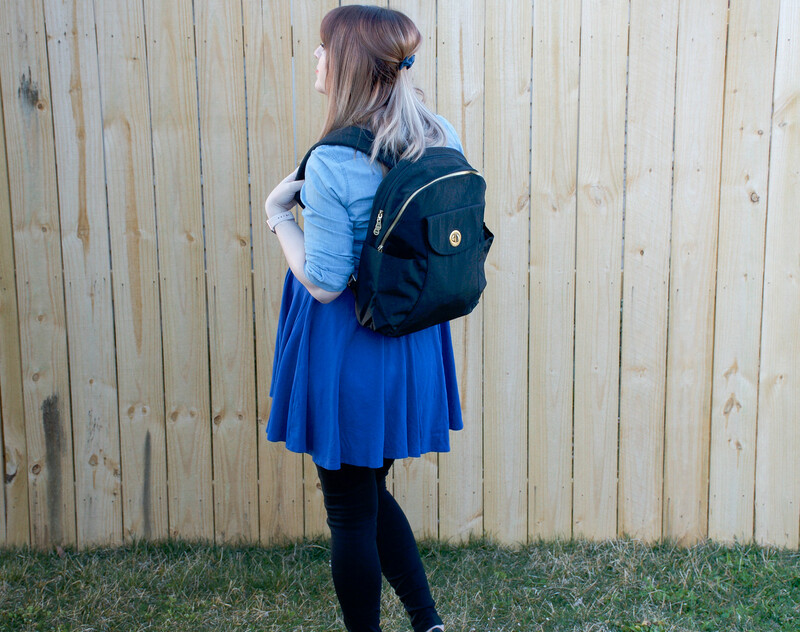 I was sold on it as a diaper bag for a few reasons. The outside pockets on the sides are deep and will be perfect for bottles/sippy cups. We’ve already discussed the durable material – but yes – the lightweight water-resistant nylon is perfect! And I love the quick access phone pocket and key leash that I can easily attach to my wristlet so it won’t get lost in the chaos. 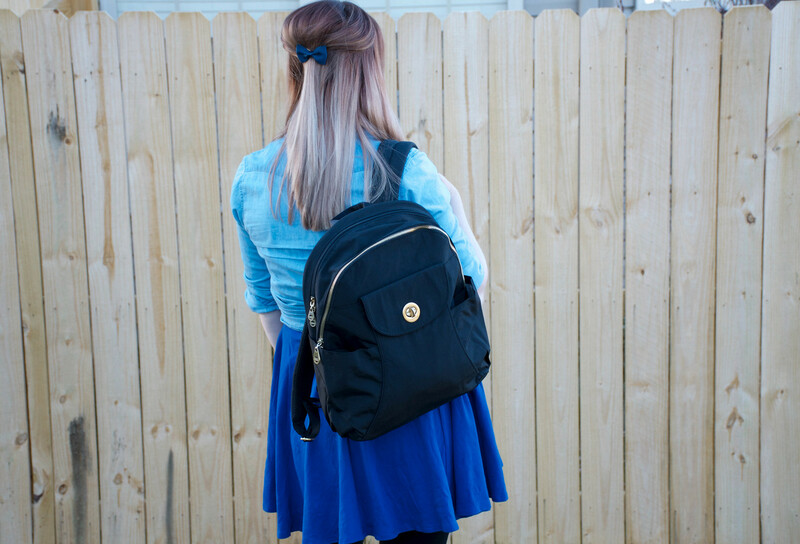 Plus, this backpack is just gorgeous and I know not everyone cares about that feature in a diaper bag but it makes me happy! I also LOVE the luggage handle sleeve! I may end up using this bag for various business trips as well because I’ll be able to slide it right on to my luggage handle. And when we do travel with the kids (KIDS, PLURAL, wow that is crazy to say!) it will be easier to carry everything. 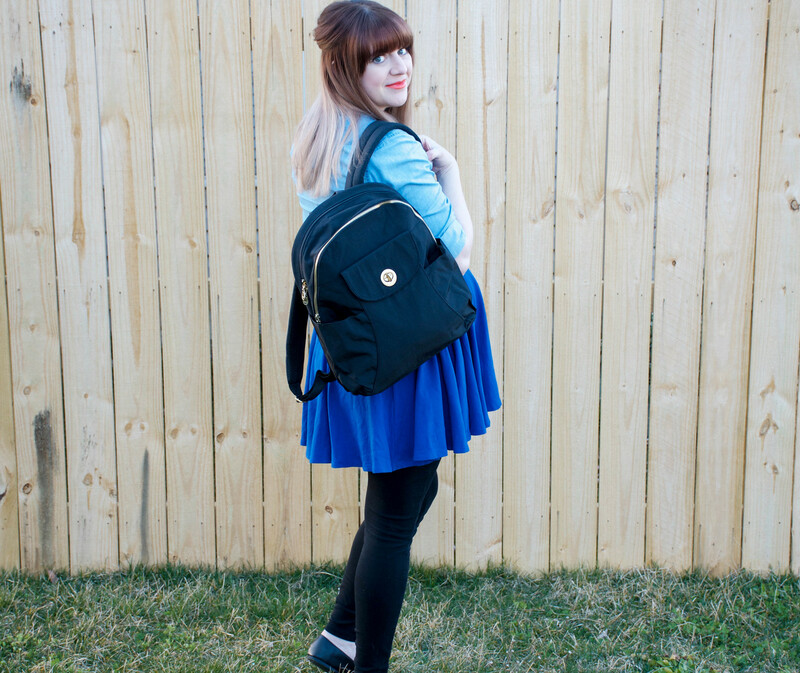 Do you have a favorite diaper bag that you love to use? Tell me all about it! TeaBloom – The Prettiest Flowering Tea Review! Wal-Mart Grocery Delivery Haul & Meals!